For the longest time, I have been fascinated by robots and the potential they have to help us out. By that, I don’t just mean having something to clean the floor or cut the grass, I mean to develop minds as well. Robots come in all shapes and sizes from a large arm that can perform complex surgery with incredible accuracy to little cockroaches to entertain your cat (we have one of those for sale, I’ll let you guess which!). We aim to have a bit of everything here with a heavy focus on educational robots for children. However, we recognize that kids come in all shapes, sizes and ages, so we have robots to keep big kids happy too, even pets. As well as the above we have some of those amazing domestic robots to help around the home and make everyone’s life a little easier and be sure to also check the gifts section where we will have a wide range of robot inspired gifts from memorabilia to robot blankets. We live in a wonderful time where robots are finally reaching the stage that our grandparents used to dream about in the 50’s and with the rate technology is going, who knows what is around the corner. So how does the shop work? OK, so we don’t actually hold any product, what that means is we are an affiliate shop. By that, I mean that if you click on one of the buy buttons, you will be taken to the online store to purchase and we make a small commission from the sale at no extra cost to yourselves. This is usually between 3-7% but changes depending on the product or store. Our goal is to curate loads of great robot products to inspire you and maybe some that you would have struggled to find elsewhere. So, if you love robots too, I highly recommend you sign up to our mailing list. As we are partners on many of these sites we often hear about flash sales and super coupon deals before they are made public. If you want to be on a list to receive these deals, sign up and we will keep you in the loop to save money and for any awesome new products that we add to our store. 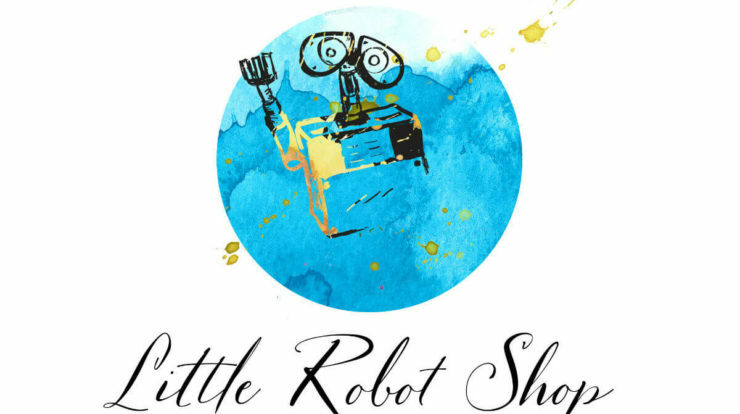 Feel free to email any time with questions you may have – hello (at) thelittlerobotshop (dot) com. Sorry for the way the email address is written, but there are so many spam bots out there these days it just helps cut the crap a bit.